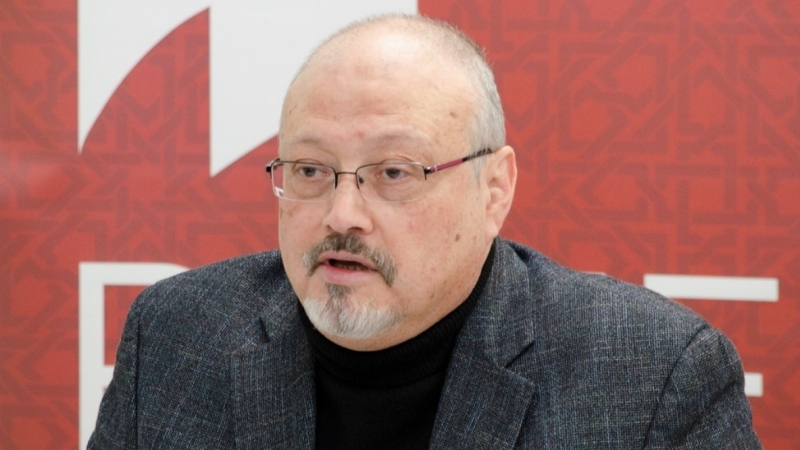 Jamal Khashoggi may be dead but his murder story refuses to die. The episode continues to have strong reverberations two months after his brutal murder in the Saudi consulate in Istanbul on October 2. It has led to political upheaval inside the medieval kingdom where questions have been raised about King Salman’s rule. He suffers from dementia resulting in all major decisions being left to his impulsive and ignorant son, and anointed successor, Muhammad bin Salman (MbS). The latter is in trouble because many believe he is directly implicated in Khashoggi’s gruesome murder. The return from self-imposed exile of Prince Ahmad bin ‘Abd al-‘Aziz, the younger brother of the king, has added further grist to rumor mills. Prince Ahmad is the youngest of the Sudayri brothers and is, therefore, considered of a higher breed than the other surviving sons of ‘Abd al-‘Aziz Al Saud. Reports also say that he returned to the kingdom after receiving assurances from Britain and the US for his safety. Both his pedigree and the assurances now make him virtually untouchable. If Bin Salman were to try anything nasty against his uncle Prince Ahmad, what he did against his cousins a year ago, he would almost certainly lose his job. MbS may still do so, even as he has become a liability for his imperial masters. 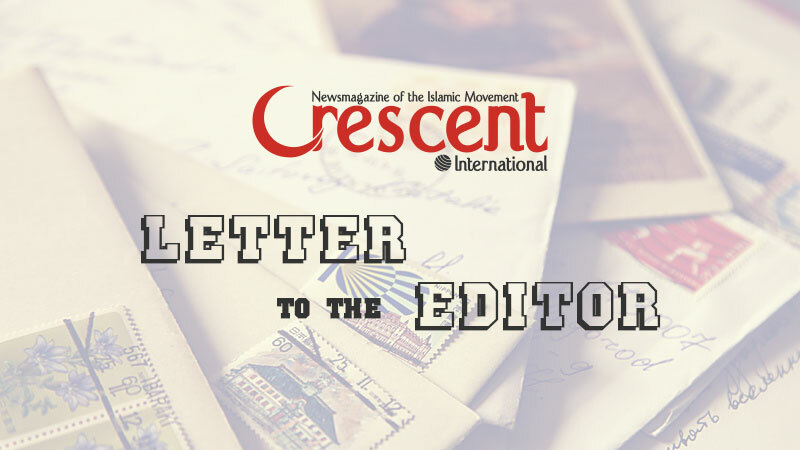 Bin Salman’s position has been severely undermined following Khashoggi’s murder and the clumsy manner in which it was handled. Every explanation merely compounded the Saudis’ dilemma. 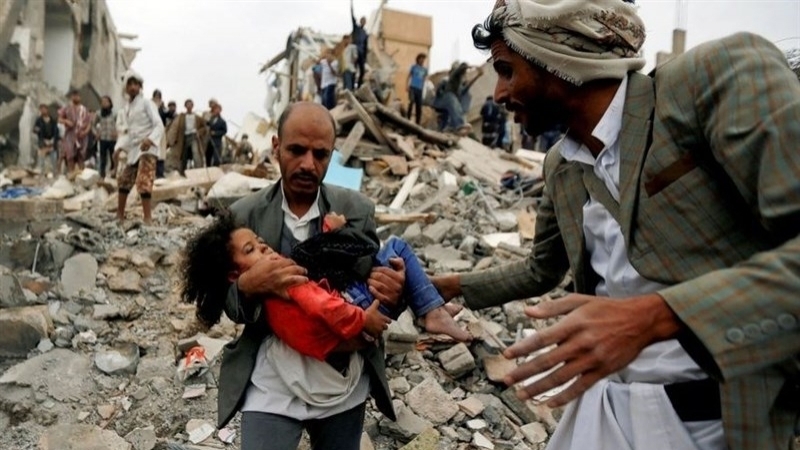 Turkish President Recep Tayip Erdogan has skillfully manipulated the gruesome murder to twist the knife each time the Saudis tried to wriggle out of the mess. It made them look even worse. Commonly referred to as the “clown” prince, Bin Salman has become so toxic that many media outlets in the US and Britain no longer want to touch him. Gone are the fawning editorials about a “reforming prince”; they now refer to him as “Mr. Bone Saw” (MBS). This is a reference to the bone saw that the death squad from Saudi Arabia had used to dismember Khashoggi’s body at the consulate. Saudi reputation, especially in the Muslim world, has also suffered greatly. It was not very high to begin with but the Khashoggi saga has ripped the mask off completely. Bin Salman bears principal responsibility for this. Since his father became king in January 2015, Bin Salman has been in charge of virtually all decision-making in the Kingdom. 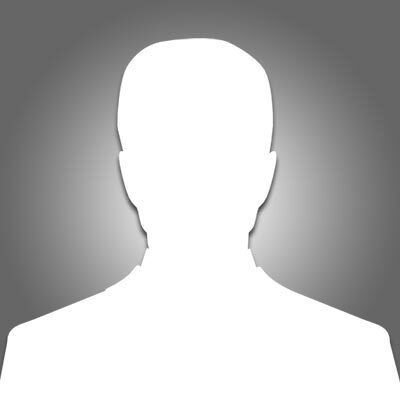 He has acted as his father’s gatekeeper (in charge of the court); he is in charge of the country’s economic policy as well as of Aramco, the Saudi oil company. He is also the Kingdom’s defence minister who launched the disastrous war on Yemen in March 2015 that is still raging. 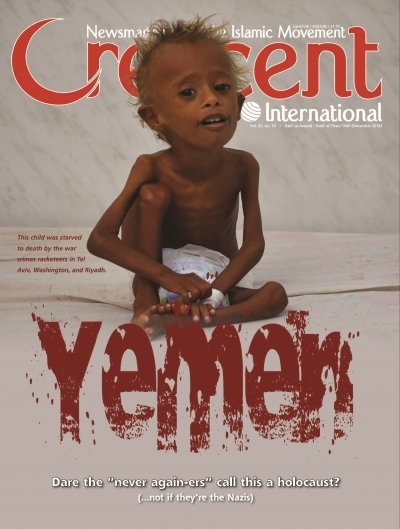 The war has caused more than 56,000 deaths and millions of people including children are on the verge of starvation. The intemperate Bin Salman has taken on Iran in a futile attempt to undermine the Islamic Republic; he took on Qatar — another futile policy that has yielded little — and he even arrested the Lebanese Prime Minister Sa‘d Hariri in November 2017 forcing him to announce his resignation on Saudi television! Bin Salman got egg on his face when French President Emmanuel Macron intervened securing Hariri’s release from house arrest in the Kingdom, and his return to Beirut where he withdrew his resignation. Back when they were on the same page with regard to overthrowing Bashar al-Asad’s government in Syria, then Deputy Crown Prince Muhammad bin Salman (MbS) met with Turkish President Erdogan to discuss developments in the region, and to keep pliable Turkish investments in the Kingdom, ahead of a G20 summit in the Chinese coastal city of Hangzhou, 9-4-2016. How things turn on a dime: today, it is all about the art of the leak. 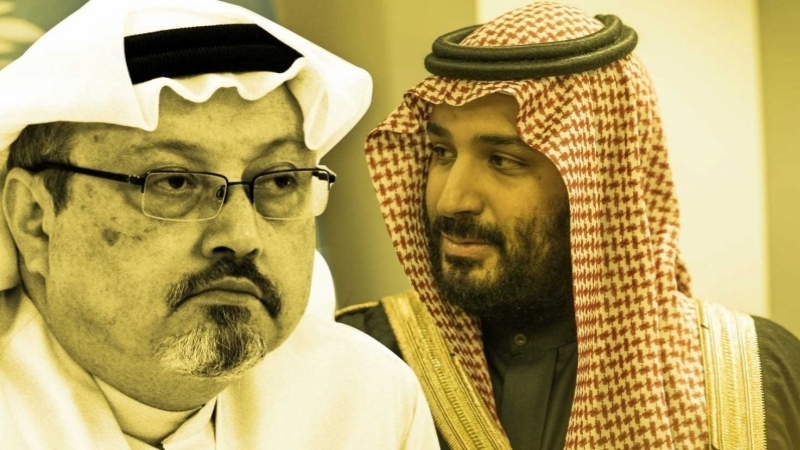 President Erdogan has been strategically leaking damning information on the Khashoggi murder, exposing all Saudi attempts to exonerate MbS as fabrications designed to immunize a ruthless killer. With the way the clever Turkish executive has played his hand, all roads are leading back to MbS. Compared to the green clown prince of Arabia, Erdogan is a seasoned political veteran who will never let a crisis (or a tragedy), served up on a silver platter, that he can manipulate for political ascendancy slip through his fingers. The Saudis’ real challenge now comes from Turkey, hitherto seen as an ally. Last August, when US President Donald Trump imposed sanctions on Turkey for its refusal to release the CIA agent Andrew Brunson operating under the cover of a priest, the Saudis also joined in. Ankara had accused Brunson, together with the US-based Turkish cleric Fethullah Gulen of being involved in the failed coup attempt of July 2016 against Erdogan. In return for Brunson’s release, Turkey wanted Gulen extradited, a demand Washington rejected (but just as CI is going to press this week, Washington floated the trial balloon that Gulen could be extradited to Turkey if Erdogan agreed to hush up the Khashoggi affair going forward). Instead, Trump imposed sanctions on Turkey as well as tariffs on Turkish goods. Ankara retaliated by imposing its own sanctions but the consequences for Turkey were much more severe causing its currency to plunge. The Turkish lira lost more than 40% of its value. It was, however, Saudi treachery that the Turks found most disturbing. To understand the severity of Saudi action, we need to know what was involved. Saudi Arabia had invested some $10 billion in Turkey in 2011 in return for Ankara joining the assault on Libya and Syria. Until that point Turkey had refused. Libya with a small population was a soft target. Libyan ruler Mu’ammar al-Qadhdhafi was easily ousted from power and then publicly lynched in October 2011. Syria proved to be a much more difficult case. There are several reasons for this, but suffice it to say that the grand conspiracy against Syria has failed. Realizing its folly in Syria, Turkey started to cozy up to Russia and Iran, much to the chagrin of Saudi Arabia. Just when Trump imposed sanctions and tariffs on Turkey, the Saudis also withdrew their money from the country. This further undermined the fragile Turkish economy. Khashoggi’s murder provided Erdogan the perfect opportunity to get even with the Saudis. He has them right where he wants them. 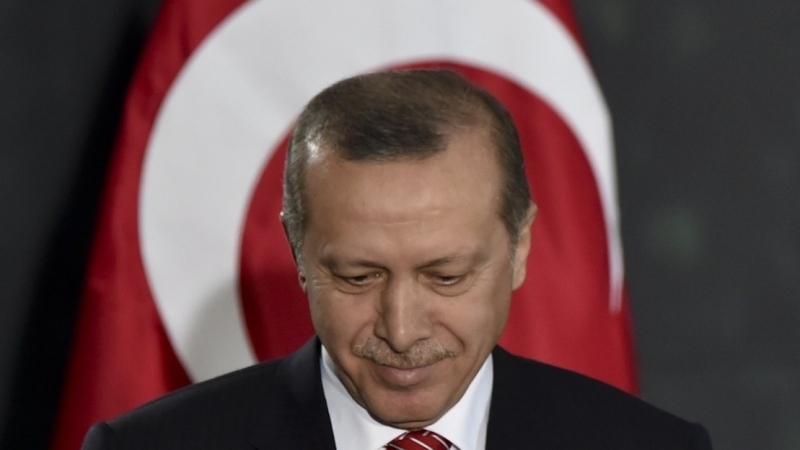 The wily Turk has played his cards well, drawing rings around the uncouth Bedouins. He has released damaging information about the Saudis at critical junctures making them look really clumsy and outright villains. They are! So the question that must be asked is: what does Erdogan want? Embarrassing the Saudis is not enough; this will soon die down. He seems to have a much bigger game plan in mind at Saudi expense. Current speculation is that he wants a substantial sum of money from the Saudis to bury the incriminating evidence in his possession. Knowing Erdogan’s ambitions, this, too, is a small price. His goal seems to be to displace the Saudis and become the unquestioned leader of the “Sunni” world. Hitherto, the Saudis pretended to hold that banner because Makkah and Madinah are in Saudi Arabia. Many Muslims in their innocence have extended the sanctity of the two holy cities to the Bani Saud clan as well. Their terrible conduct has finally exposed them as a bunch of criminals. Even their massive war crimes in Yemen did not affect the Saudis’ reputation as much as what the murder of Khashoggi has done. His murder has changed the situation for two reasons. First, Erdogan is pursuing the matter vigorously; second, the Washington Post where Khashoggi wrote a regular column is not letting go. The Post has strong connections to the American deep state including the CIA and Khashoggi was their man even if not an American citizen. How dare the Saudis cross that red line? A price must be paid for that; the buck — or the camel — stops at Bin Salman’s tent. Developments inside the Kingdom suggest that Bin Salman’s position is becoming increasingly precarious. With the return of Prince Ahmad, internal disagreements that Bin Salman had crushed with an iron fist are again getting louder. His opponents — and there are many — sense Bin Salman’s vulnerability. This is an opportunity they do not wish to miss. They put it in stark terms: either the kingdom or Bin Salman. Many are banking on Prince Ahmad to lead the charge. Even if he does not, some senior princes are now openly questioning Bin Salman’s enormous powers. They argue that his continued high profile role puts at risk the very survival of Bani Saud’s rule. This is one argument for which neither the aged king nor his ambitious son has an answer. So the question is: will it be Bin Salman or the Kingdom? The way things are moving it appears likely that with or without Bin Salman, the Kingdom is doomed.